Simon Gagné may be from Sainte-Foy, but throughout the years, Philadelphia has become a haven and a second home to him. Will the 33-year-old veteran be back with the Flyers next season? Nothing is less certain. Free agent without compensation since July 5th, Gagné is still free like the wind. And even if he didn’t say, with Vincent Lecavalier’s arrival in the city of brotherly love, the Flyers have things to see through. “I’d love to finish my career in Philadelphia. I enjoyed my return with the Flyers, and the coaches were happy with my performances”, confided Gagné. 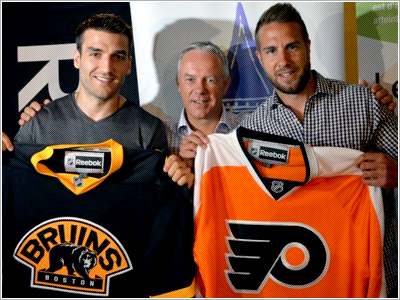 For Gagné, Philadelphia is a “natural choice”. And he didn’t hesitate to point out the advantages of the city to Lecavalier before the former Tampa Bay captain made his choice. Around the same time last year, Gagné was parading with the Stanley Cup. This summer, he is looking for a job. Two realities much different from one another. Gagné played his first 10 seasons in the Flyers’ uniform before leaving to the Tampa Bay Lightning, then the Los Angeles Kings. And last season, he had the opportunity to return to his favorite team. Now, this is all behind him. He has turned the page, even if it hasn’t been easy. “It took me a good two years before I got over it, and even when I was in Tampa Bay, it was hard. At the beginning, I thought I had the wrong jersey on”, mentioned Gagné. In 38 games with the Flyers and the Kings this season, Gagné had a total of 16 points, with 5 goals and 11 assists. source: TVA Sports; Big thank you to my friend Myriam for the translation from French! In an article that Rob Parent published earlier today, the quotes from Simon‘s agent, Bob Sauvé, seems to have tilted the scales a little bit more to the possibility of Gagne’s stay with the Flyers rather than him leaving the team. As it has been said before, Simon hasn’t officially spoken to any other teams besides the Flyers. As Parent says in his article, all the talks Sauvé had with other teams were just informal. Should Gagne leave the Flyers after all, it would be for the second time he would have to leave due to salary cap reasons. First, in 2010, they traded him to the Tampa Bay Lightning to relief themselves from his, at that time, 5.25 million cap hit. This year it’s similar, only the Flyers don’t have enough space under the cap to re-sign him. 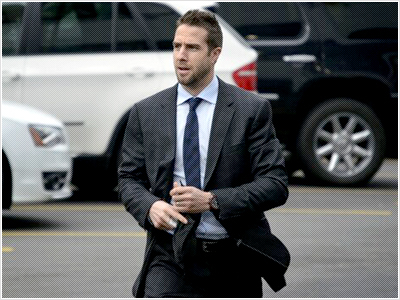 Possible future trade could create space for Gagne though, so he just probably needs to wait now. And so do we.